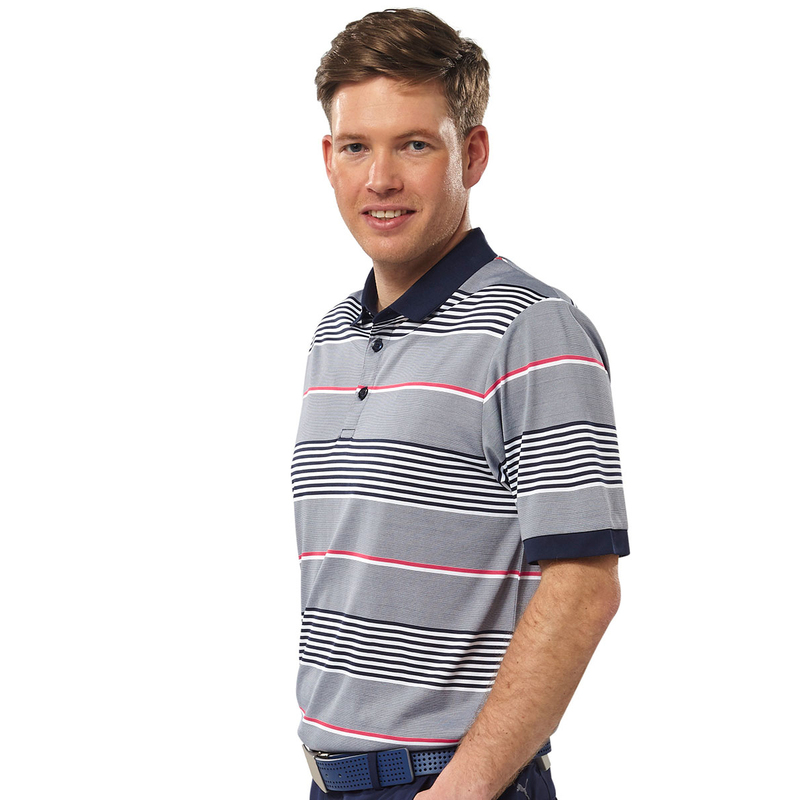 Keep your golf performance to the max with one of Callaway's latest piece of fashion. 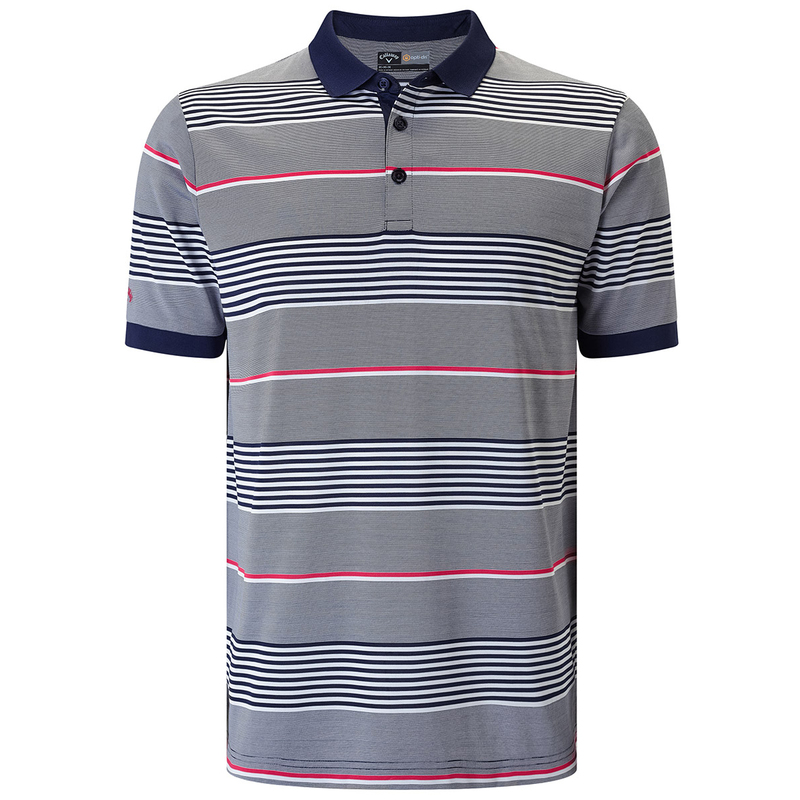 As well as outstanding performance, this polo sports to lovely finishing touches. 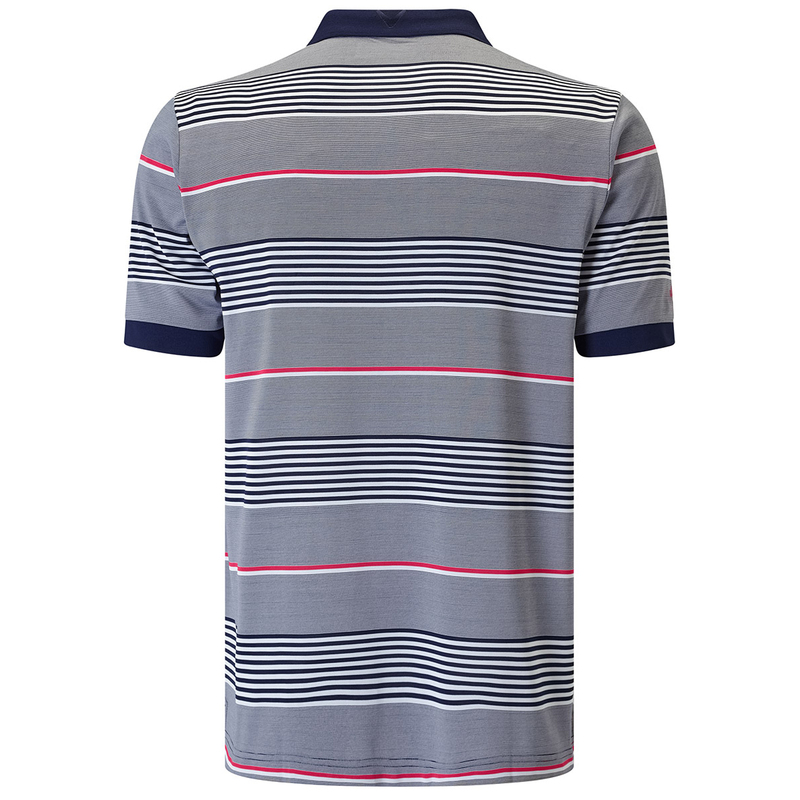 These include a 3 button placket, self collar, 3 stripe design and Callaway branding on the right sleeve as well as a Chevron on the center back collar. 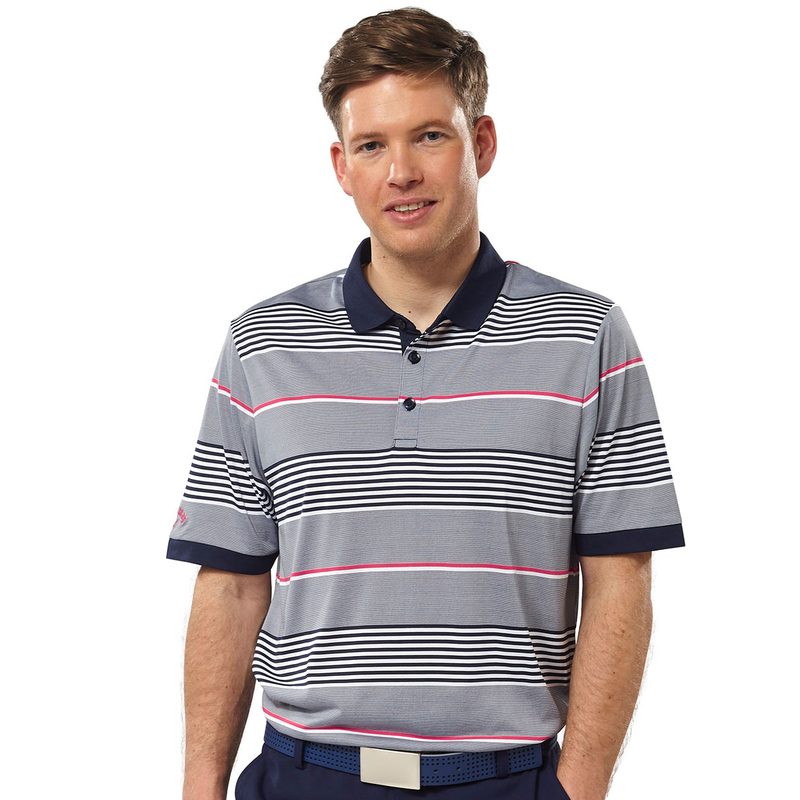 The technologies in this garment include Opti-Dri and UV Repel. These both offer very different, yet important, benefits to you. 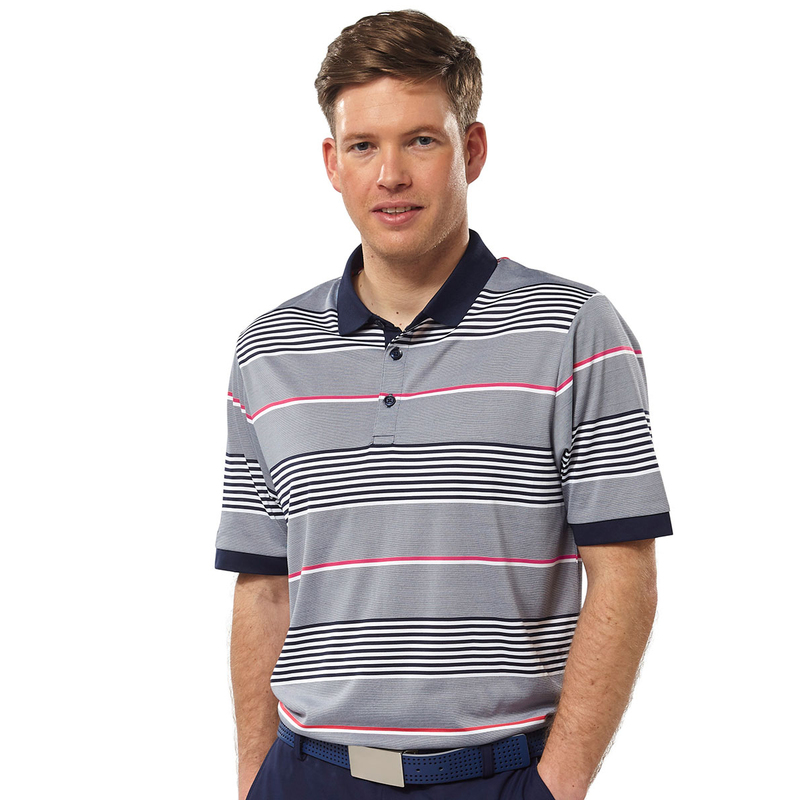 Opti-Dri transfers moisture away from your body making sure that you are kept comfortable while on the golf course and UV Repel ensures that your skin is kept safe on those sunny days.